Water Chestnut or Sighara as called in Indian Hindi language is a very important food item during the vrat or fasting days. A lots of recipes are prepared out of this fruit used most commonly in form of flour. 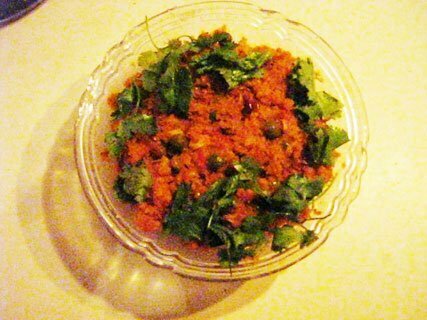 In a pan roast the Singhara Atta till it gets light brownish in color and an appetizing aroma comes out of it. Now add the ghee to it and keep on sautéing it again for a couple of minutes. Then add the water along with Sugar and Dry Fruits. 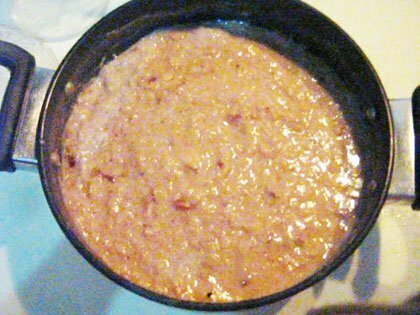 Keep on stirring till the water gets absorbed and the Halwa turns non sticky. Sprinkle the Green Cardamom Powder. 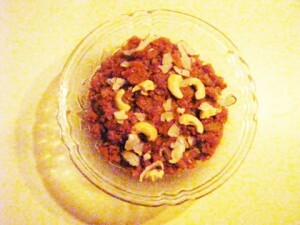 Serve garnished with Dry Fruits. Roasting the Flour before adding Ghee helps to prevent lumps in the Halwa.For any further clarification please do watch the video.